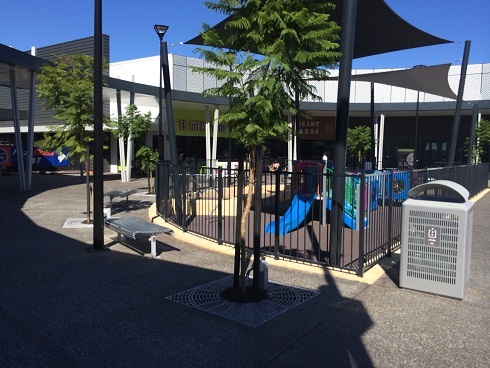 The new Joondalup Square, where you will find the new Bunnings store on Joondalup Drive, has this great little fully fenced toddler play area surrounded by places to eat and grab a coffee. 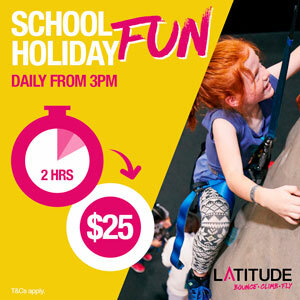 Its a great place to meet with friends for lunch or a coffee. The play equipment will appeal to toddlers and preschoolers. My 7yo enjoyed it too, but it wouldn't keep him entertained for too long. The surface within the fully fenced area is softfall and there is a ramp entry to the playground area, so you can bring a pram or wheelchair inside the fenced area. 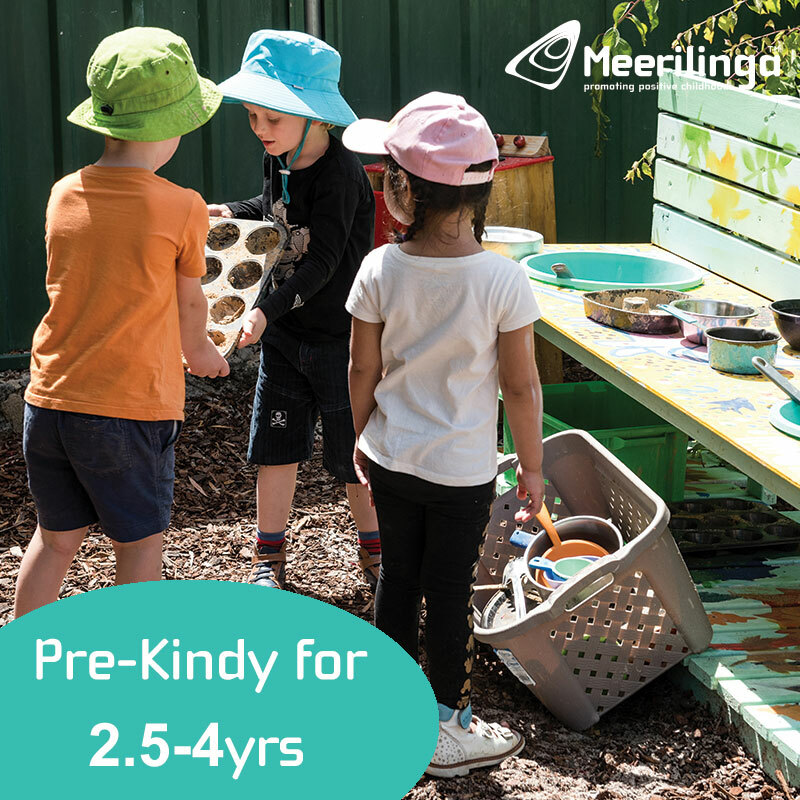 All the play equipment is located fairly close to the ground, so it's the perfect, safe play area for toddlers and preschoolers. 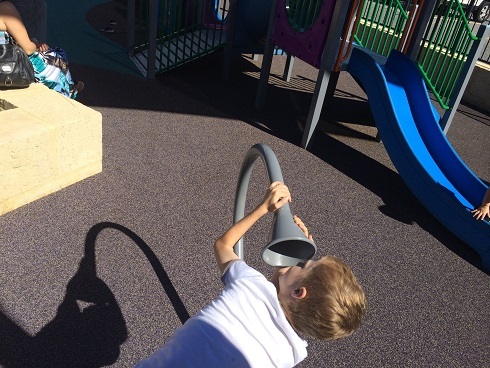 There is also a sensory play feature where kids can talk to each other through a pipe that goes all the way under the playground all the way to the other side. There is lots of seating all the way around the outside of the fence, or there is plenty of room to sit on the limestone walkway wall on the inside of the playground. Around the outside of the playground is Croissant Express, El Mexicano, Funky Frys, Subway, Yumi Sushi and a Coffee Club. 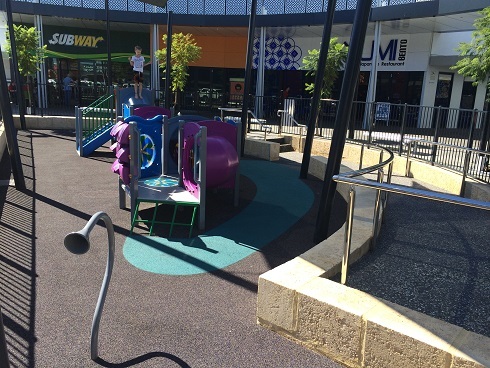 If you are looking for somewhere to have lunch or coffee with friends that has a play area, the Joondalup Square play area is perfect. The roof expends out slightly from the shop fronts so if it rains there is somewhere to shelter also. 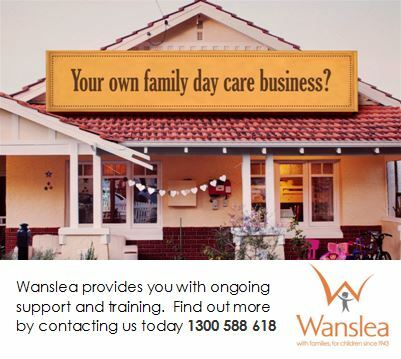 Or if it's really pelting down head over to the cafe area at Bunnings Joondalup it has a great cafe and play area too.